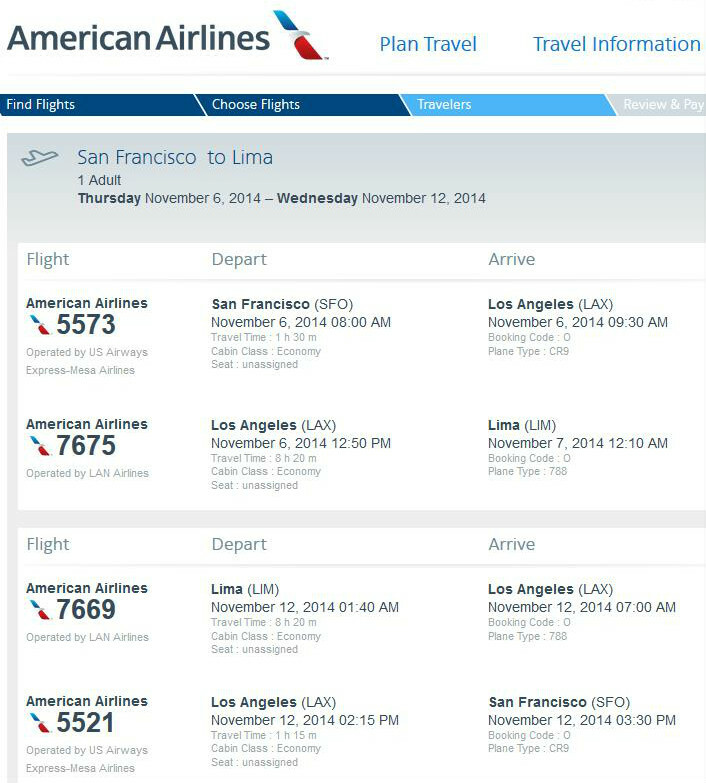 Airfares to Lima, Peru, from San Francisco and Philadelphia have dropped to just $449-$550 roundtrip, including tax. 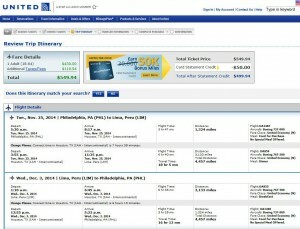 These fares save as much as $250 off the usual cost of this route. 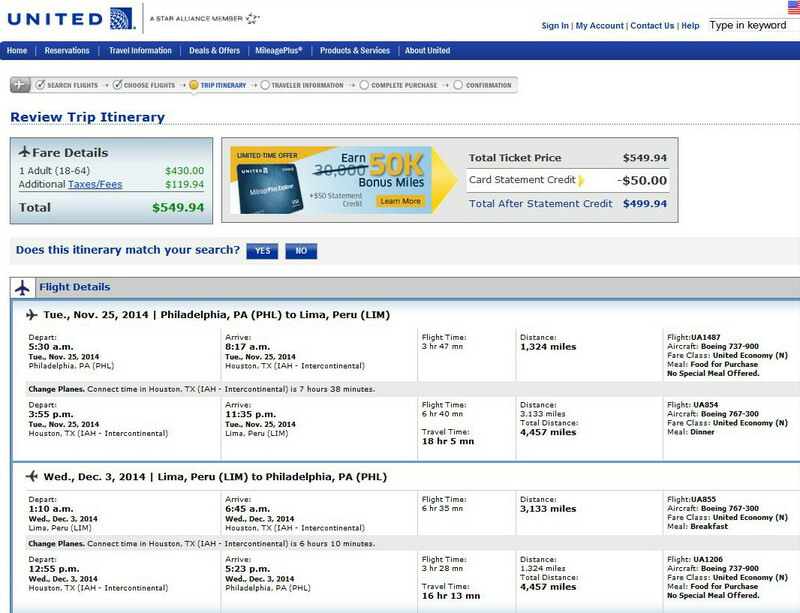 Travel is available for select departures from September to November, including travel over Thanksgiving — spring in South America. 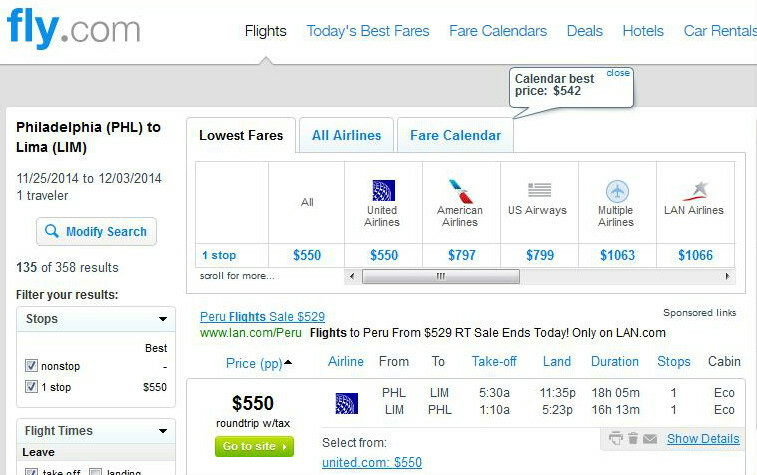 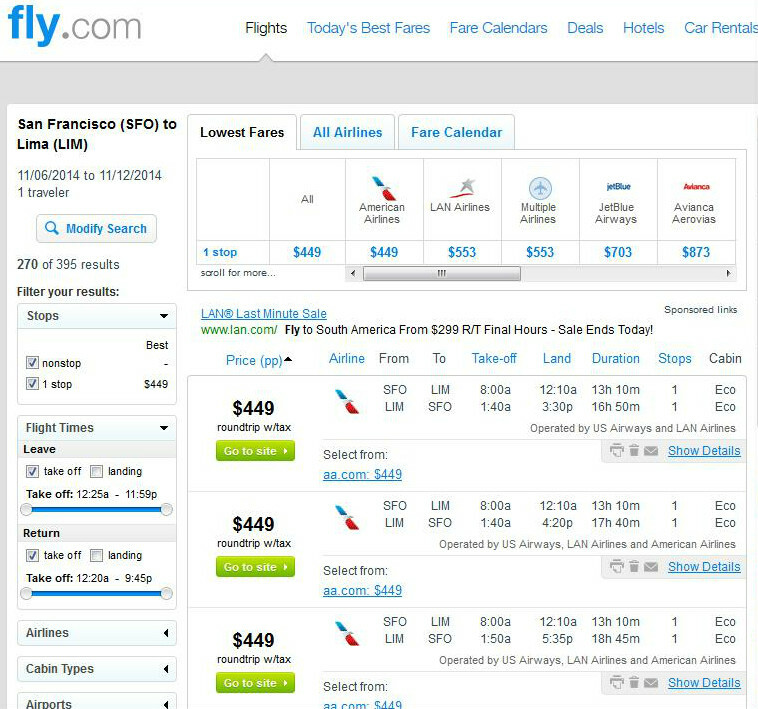 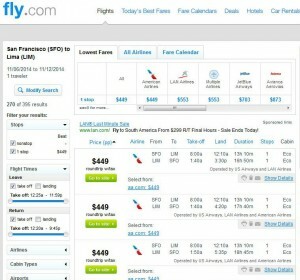 Note: The calendar for November is showing $542 for Philadelphia to Lima, but the search results will come back at $550. 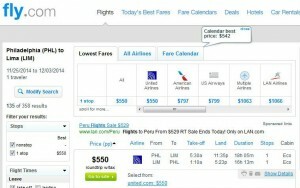 Save up to $250 off roundtrip prices for travel during the same period. 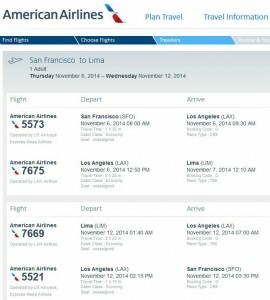 Lima is Peru’s only international airport, and serves as a gateway for visitors looking to explore the Inca Trail, Machu Picchu, Cusco and the Nazca Desert.